Carl Gregory Stroud will stand trial for an incident that began with an attempt to shoplift $208 of beer and meat from a Smyrna Kroger, and after a wild chase down South Cobb Drive ended in a crash. Stroud was bound over to Superior Court on multiple charges after a probable cause hearing in the Cobb County Magistrate Court presided over by Judge Gerald Moore on Friday. 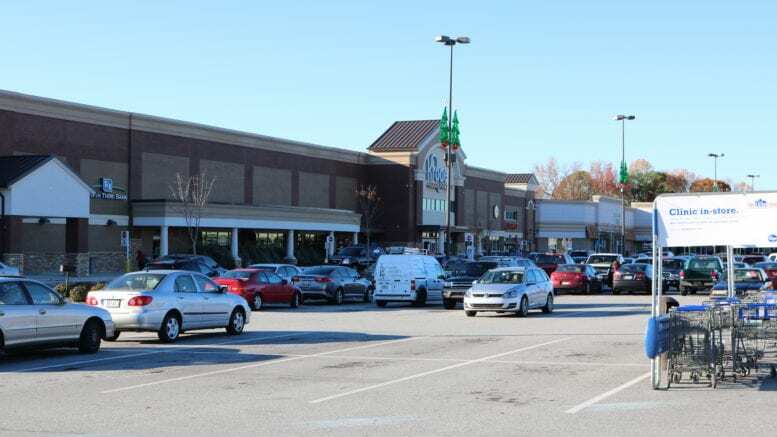 According to testimony from Officer Shae Corso of the Smyrna Police Department, on July 6 police received a call that a suspect had attempted to push a grocery cart full of beer and meat to the parking lot without going through checkout. An anti-theft device on the cart caused the wheels to lock on the cart, and he was unable to get the cart to his vehicle. Police arrived and Stroud, the alleged shoplifter, fled on foot in the direction of the McDonalds located in a standalone building in front of Kroger’s parking lot. Police lost sight of the suspect, but a white pickup truck was spotted moving at a high rate of speed southbound on South Cobb Drive at the Concord Road intersection. Police began pursuing the driver of the truck at King Springs Road. The suspect ran the red light at Cooper Lake Road, and when he ran the light at the East West Connector he collided with two other vehicles, disabling his own truck. The truck continued to roll down the hill, striking the median in front of a Krispy Kreme donut shop, and veering onto the landscape of an apartment complex. Stroud attempted to resist officers, according to Corso, and was arrested and booked on suspicion of numerous felonies and misdemeanors related to the shoplifting, his attempt to elude officers and the traffic violations during the chase. Judge Moore found probable cause on all the charges and bound Stroud over for trial in Cobb County Superior Court on all charges related to the incident. According to the booking information from the Cobb County jail Stroud also had a hold from the Douglas County Sheriff’s Office for a previous incident. 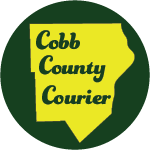 Be the first to comment on "Suspect to stand trial for wild South Cobb Drive chase"